Bow hunting catalog searches can benefit the buyer in many ways, but there are things you need to beware of before you decide to buy from a catalog. First, if you are just getting into bow hunting, and you need to buy major items such as your bow and sights or scopes, it is probably best if you go to an archery supply store to seek the advice of a trained archery expert. Having a well trained expert in the field of archery can make all the difference between getting the right equipment the first time and enjoying learning the sport of bow hunting, and being able to use the right equipment for years to come. If you go it on your own on this one, you will probably spend money on a bow that does not fit right or have the proper pull weight for you. Many people choose pull weights much too high for them, thinking they will build up muscles as they get more experienced. The problem with that is people don’t use the equipment then, because it is too difficult to use or is not right for the game they plan to hunt. It is important to choose the proper pull weight for you and the game you wish to hunt. Stiffer bows are not always the best choice. Next, if you are an experienced bow hunter, purchasing from a bow hunting catalog is definitely an option, and you can but from the comfort of your own home, whether by phone or online. If you are just replacing equipment, chances are you know exactly what you need, and you can take advantage of online sales, online discounts, and other savings programs. One word of advice is pretty common sense. Even when you are an experienced hunter, it is always a good idea to buy from a catalog that comes from a dealer you can trust. There should always be a good return policy for damaged merchandise, and some type of short-term guarantee of merchandise. When you order from a catalog, and exercise these simple cautions, you can reap the benefits and enjoy convenient in home shopping. 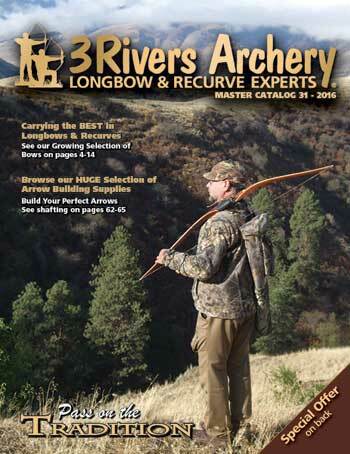 Another caution is being sure the bow hunting catalog you order from is a well-known, reputable catalog with secure transaction capabilities if you plan on using your credit card to pay for your buy. If you can, pay through a secure site such as paypal or order COD whenever you can.